We, the Graduate Employees Organization at UIUC, AFT/IFT 6300 have watched in outrage, sadness, and horror as Israeli snipers have maimed and murdered Palestinian children, young adults, journalists, and medical first responders in Gaza over the past month. Much of this violence was committed simultaneously with the opening of the U.S. embassy in Jerusalem: as a Christian extremist anti-Semitic U.S. pastorgave the prayer for the opening ceremony, as a virulently anti-Black rabbi blessed Ivanka Trump and Jared Kushner, as ordinary Israeli citizens cheered and chanted for IDF soldiers to “burn them, shoot them, kill them” in reference to non-violent Palestinian protesters, and as wealthy politicians sipped champagne and celebrated. How many people in the U.S. labor movement are aware that Palestinian workers held a general strike on May 15, Nakba Day, in protest of incrementally-genocidal Israeli settler colonization? 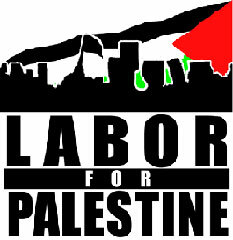 How many U.S. labor leaders have declared solidarity with Palestinian workers? How many U.S. labor unions have followed in the great tradition of transnational anti-colonial labor solidarity by standing with Palestine against a genocidal process currently led by anti-labor extremists such as Donald Trump and Benjamin Netanyahu? How many U.S. labor unions have followed the example of labor unions globally by declaring support for the non-violent BDS (Boycott, Divestment, and Sanctions) movement? We are saddened and disappointed that our own AFT/IFT leadership have a history not only of silence on these matters, but complicity with the racist and genocidal regime that guns down unarmed Palestinians in the open air prison that is Gaza. We are saddened and disappointed in the hostility that AFT leaders such as Randi Weingarten have expressed to the internationally-respected and non-violent tactic of BDS. Such leaders are out of touch and out of step with the rank and file of our union. We, the GEO, proudly endorsed a Divestment campaign led by Palestinian students on our campus this academic year (2017-2018), and we plan to do likewise next year. We call on AFT/IFT leadership to unequivocally, and in an unqualified manner, condemn Israel’s murderous aggression and blatant human rights abuses against Palestinians, and to act in substantive solidarity with the Palestinian people who are struggling against racism, apartheid, and colonization—struggling for freedom. A labor movement that does not fight for justice against the bullies of the world is no labor movement at all. The Graduate Employees’ Organization (GEO), IFT/AFT local 6300, AFL-CIO, is a member-run labor union and represents Teaching and Graduate Assistants (TAs and GAs) at the University of Illinois at Urbana-Champaign. In November 2009, and more recently, earlier this year in February 2018, GEO members and allies participated in a strike to secure a fair contract and more accessible UIUC. With an active presence in the community, the GEO continues to work for high-quality and accessible public education in Illinois. For more information, please contact us geo@uigeo.org. More information can also be found on our website at www.uiucgeo.org. Skin tanned and hands calloused from working forty-two years under the sun, Emad Khalil, a sixty-one year old retired laborer, sits in front of me. For thirty of those years, he worked in Israel. His story documents a tremendous change in attitude and policy towards Palestinian freedom of movement, employment opportunities, healthcare, and relations between Palestinians and Israelis. Emad worked for an Israeli company under an Arab Jewish supervisor. Poverty, lack of education, and inadequate infrastructure strategically paved the way for Palestinian labour demand across the border. Most of the employees were Palestinians of similar socio-economic background. Like Emad, they were illiterate. Education was considered unimportant compared to more immediate financial concerns. Few went to university though workers were encouraged and even rewarded for learning Hebrew. Emad describes a forgotten period where Palestinians and Israelis, in the wake of growing prosperity, recognized their similarities, and even socially engaged outside the workplace. His relationship with his first boss was such that he attended Emad’s brother’s wedding. Emad worked for his first boss for five years. In 1976, the business was sold and Emad picked up work where he could. For a short period of time, he worked as a fruit picker for a farm that had Arabic inscription at the entrance. When he told his father and uncle about this peculiarity, they informed him that the farm had originally belonged to his great grandfather. Such experiences were not uncommon. During the First Intifada in 1987, a large-scale boycott campaign began in response to clashes between Israeli Defence Forces (IDF) and Palestinian protesters in the West Bank. The impact of the Boycott was dampened by the collapsing economy in Gaza. Workers grew reluctant to leave Israel. The changes imposed on the Palestinian economy by the Paris Protocol on Economic Relations, an agreement signed by Israel and the Palestinian Liberation Organisation (PLO) in 1994 and included in the Oslo II Accord in September 1995, led to irrevocable decline in Gaza. The protocol included Israeli regulation of customs, value-added taxes, purchase taxes, integration of the Palestinian and Israeli economies, and the besiegement of Gaza’s borders. Palestinian workers were no longer able to cross the borders without being subjected to manual checks by armed border patrol officers and long waits at checkpoints. A journey that had taken Emad thirty minutes became an unpredictable wait of up to eight hours. Exhausted and demoralised workers began to lose work as the relations between the workers and their Israeli employers deteriorated. The changes imposed by the Paris Protocol led to an approximate36.1 % decline in economic output from Gaza between 1992 and 1996. 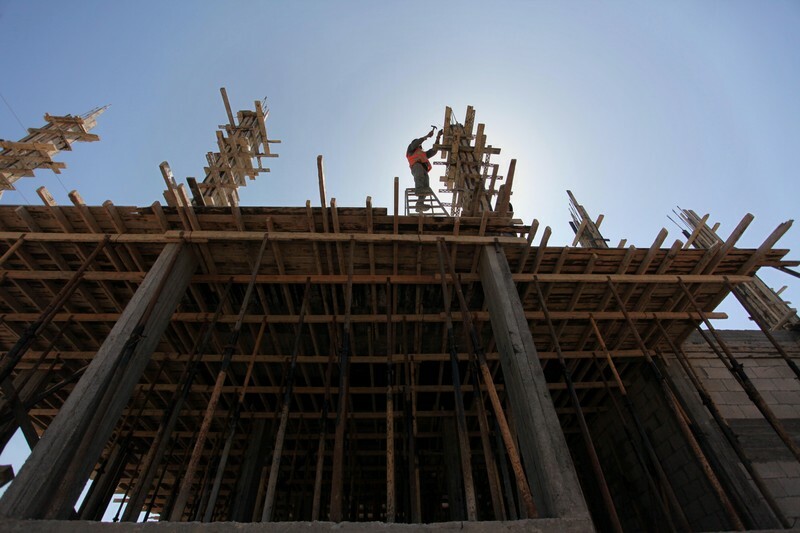 Workers faced increasing levels of unemployment, returning to Gaza with few job prospects. Despite the difficulties in obtaining a job and the barriers imposed by checkpoints, Emad continued to work in Israel until 2000 when his thirty-year career came to a devastating end. Upon arrival to the hospital, Emad was required to show his identification card to check he had adequate medical insurance prior to treatment. He was then taken for surgery to remove the nail from his eye. Sadly, the operation was unsuccessful and Emad lost the majority of his sight in that eye. He was told that he needed to schedule another operation but could go home in the interim. He called the work office to arrange the surgery through his employer, who was legally responsible for the provision of his health insurance. The lack of access to the medical care, to which he was entitled, has left Emad permanently disabled, unemployed and unable to afford university tuition fees for his four children. Denying him permission to attend court in Israel was in direct violation of the Universal Declaration of Human rights (article 13) which states the right of freedom of movement within states. The human rights group B’Tselem also argues that the restrictions on ill, wounded and pregnant Palestinians seeking acute medical care is in contravention of international law which states that medical professionals and medical patients must be granted open passage. A future towards permanent disengagement? Since the imposition of the Israeli siege on Gaza in 2007, there have been three major assaults and numerous smaller indiscriminate attacks, with the last in 2014 claiming the lives of over 2,250 Palestinians and displacing over 500,000. According to a United Nations report in 2015, it is predicted that with the on-going economic crisis, Gaza may be uninhabitable by 2020. Israel’s long term strategy for permanent disengagement from Gaza seems entirely plausible given the growing trends of economic restrictions, cyclical warfare, and severe cuts on fuel provisions and infrastructure. Emad Khalil’s story is a sample of history in which, outside the domain of political maneuvering, there may have been an alternative road of shared social and economic prosperity for Palestinian and Israeli citizens. Mohammed Saleem is a Palestinian writer living in Gaza. Other posts by Mohammed Saleem. 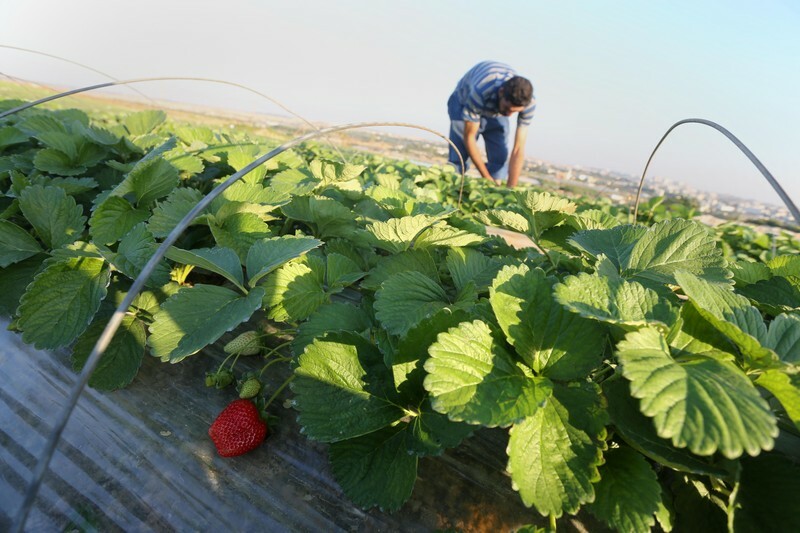 A Palestinian farmer harvests strawberries from a field in Beit Lahiya, in the northern Gaza Strip, on 10 December 2015. Palestinians whose livelihoods are forcibly enmeshed in Israel’s economic system are often used as human shields against the boycott, divestment and sanctions (BDS) movement. The frequent accusation made by critics is that boycotts of Israeli businesses, especially settlement businesses, will hurt the very Palestinians that BDS activists say they support. At times, settlement advocates even deploy Palestinian spokespersons to speak positively about the higher wages they receive working for settlement businesses. A new report released by UK-based Corporate Watch brings the voices of the Palestinian farmers and agricultural workers to the debate over how the BDS movement can best resist Israeli exploitation of their land and labor. Corporate Watch’s report, titled, “Apartheid in the Fields: From Occupied Palestine to UK Supermarkets,” focuses on two of the most vulnerable segments of Palestinian society: residents of the Gaza Strip and the occupied West Bank’s Jordan Valley. Anyone entering Gaza through the Erez checkpoint on the northern boundary with present-day Israel, traverses a long, fenced corridor running through the so-called “buffer zone” enforced by the Israeli military. This poorly defined area ranges from 300 to 500 meters along the inside perimeter of Gaza. Since 2008, the report states, more than 50 Palestinians have been killed in this zone. Four Palestinian civilians have been killed and more than 60 injured so far this year. According to the UN monitoring group OCHA, this zone also takes up 17 percent of Gaza’s total area, making up to one third of its farmland unsafe for cultivation. Areas that once held olive and citrus trees have now been bulldozed by Israeli forces. 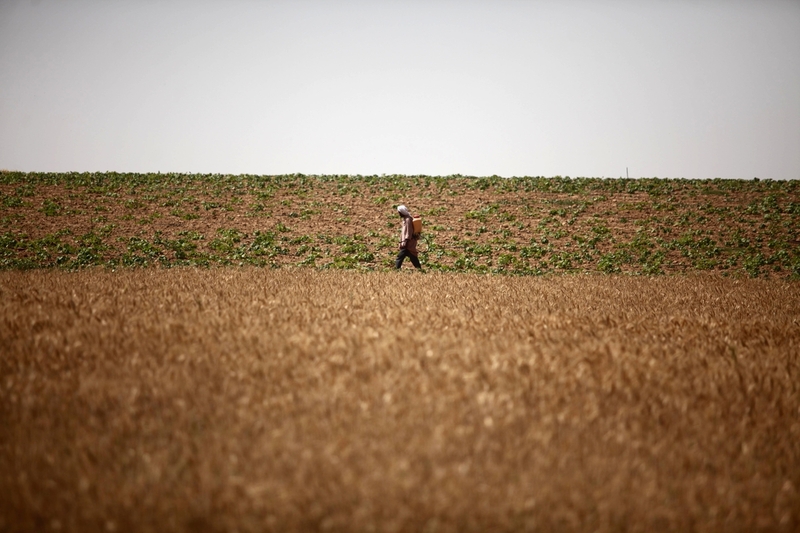 Corporate Watch says that even though Palestinians are routinely shot at from distances greater than 300 meters, farmers whose land lies near the border have no choice but to cultivate these areas despite the danger. In addition to the lethal violence routinely inflicted on Gaza, Israeli authorities enforce what they have called“economic warfare” – a de facto boycott of almost all agriculture originating in Gaza. Virtually no produce from the enclave is allowed into Israeli or West Bank markets, traditionally Gaza’s biggest customers. From the time Israel imposed its blockade on Gaza in 2007 up until November 2014, a monthly average of 13.5 trucks left Gaza carrying exports – just one percent of the monthly average of goods shipped out just prior to the closure. By contrast, already this year more than 22,000 trucks have entered Gaza, many carrying Israeli produce considered unsuitable for international export. Dumping it on the captive market in Gaza further undermines local farmers. The trickle of exports that Israel permits from Gaza go primarily to European markets, but this is only allowed through Israeli export companies that profit from the situation by taking commissions and selling Gaza products for far higher prices than they pay the producers. Muhammad Zwaid of Gaza’s only export company, Palestine Crops, told Corporate Watch that part of the problem is that Palestine lacks its own bar code and so any produce exported through Israel carries an Israeli one. Corporate Watch reports that while many of the farmers they interviewed support BDS, they also want the opportunity to export their produce and make a living. This presents a quandary because a boycott of Israeli export companies like Arava will include Palestinian products as well. Even so, the farmers interviewed maintained their support for BDS as a long-term strategy that outweighs the limited benefits of current export levels. Mohsen Abu Ramadan, from the Palestinian Non-Governmental Organizations Network, suggested to Corporate Watch that one strategy could be to engage farming unions around the world to urge them to endorse BDS in solidarity with Palestinian farmers. While Israel’s siege and deadly assaults have rightly focused international attention on Gaza, Israel’s actions in the Jordan Valley have generated far less outrage. Yet well before Israeli Prime Minister Benjamin Netanyahu’s current extreme right-wing government made clear its opposition to a viable Palestinian state, he had pledged to never give up control of this agriculturally rich region under any two-state configuration. Occupation authorities refuse virtually all Palestinian requests to build or improve infrastructure in the region. Residents face severe restrictions on access to electricity and water as well as other basic infrastructure. Demolitions of Palestinian homes have increased in recent months, and in February, Israel carried out thelargest demolition in a decade. In the Jordan Valley, settlement agriculture often relies on Palestinian labor – including child labor – to do hazardous jobs for a fraction of what would be paid to Israeli citizens. Though entitled to the Israeli minimum wage according to a high court ruling, many workers are routinely paid as little as half that. Palestinians Zaid and Rashid are employed in Beqa’ot, a settlement built on land seized from Palestinians. They receive wages of $20 per day, about a quarter of which goes for daily transport. They receive no paid holidays despite the fact that the Israeli government advises that workers are entitled to 14 days paid holiday and must receive a written contract and payslips from their employer. Although they are members of a Palestinian trade union, their settler employers do not recognize any collective bargaining rights. Workers are moreover frequently pressured into signing documents in Hebrew — which they cannot read — stating that they are being treated according to law. Workers fear being fired if they do not sign. While Palestinians working in settlements are also required to obtain work permits from the military occupation authorities, several of those interviewed for the report had no such permits, leading to suspicions that employers may be attempting to further circumvent Israeli labor laws by using undocumented workers. Both Zaid and Rashid told Corporate Watch they back the call for a boycott of Israeli agricultural companies. Corporate Watch profiles the five main Israeli export companies: Arava, Mehadrin, Hadiklaim, Edom and the now defunct Carmel Agrexco. A common practice by these companies is mislabeling goods as “Produce of Israel” even when they are grown and packed in West Bank settlements that are illegal under international law. Corporate Watch also documents the varying degrees of success that BDS activists have had in targeting these companies. Similar guidelines approved by the European Union late last year outraged Israeli politicians, despite the fact that the same practice has been United States policy since the mid-1990s. Despite the guidelines, however, UK stores continue to stock Israeli products with misleading labels. As recently as 2013, Corporate Watch found labels from the Israeli settlement of Tomer for the Morrisons store brand of Medjoul dates. In another example, the Aldi chain was caught selling grapefruits from Carmel Agrexco labeled as products of Cyprus. This means that not only would the Co-op not stock settlement produce, but that it would not buy produce grown in present-day Israel from companies that also have settlement operations. This made it the first major European chain to take such a step. Corporate Watch points out that while not directly supporting the settlement economy, those Israeli companies without settlement operations still pay taxes to the Israeli government, which supports its ongoing occupation, colonization and oppression of Palestinians. It notes that the Co-op took a much stronger stance regarding apartheid-era South Africa, when it boycotted all South African products. In accordance with the 2005 BDS call from Palestinian civil society, Corporate Watch advocates a full boycott of all Israeli goods. Video: Did Israel target Gaza’s ambulances? A new documentary shows the devastation Israel’s 2014 bombardment of Gaza caused to medical and rescue teams. In the documentary, which can be viewed at the top of this page, three medics recall incidents during which their colleagues came under attack. In total, 11 ambulance drivers and civil defense workers were killed during Israel’s 51 days of aerial bombing and ground invasion. Twenty-four ambulances and 70 medical facilities were damaged or destroyed. In many cases, ambulances and facilities appear to have been directly targeted despite having provided their coordinates to the Israeli army. The documentary was produced by Al Mezan Center for Human Rights in Gaza. According to Mahmoud Abu Rahma, an Al Mezan representative, ambulances were targeted after Israel’s ground invasion began on 17 July. “International law is crystal clear concerning its inviolable protection of health facilities and workers, including ambulances,” Abu Rahma says in the documentary, noting that Palestinian ambulances are well marked in colors agreed with Israel. Al Mezan submitted complaints to the Israeli authorities demanding a credible investigation into what appear to be targeted attacks on medical facilities and personnel. The Israeli military has opened two investigations into the killing of ambulance drivers in separate attacks on 25 July 2014. However, to date only one instance of an apparent direct attack on a medical facility has prompted the military to open a criminal file. That case was only opened after media reports exposed the deliberate shellingof a clinic in the Shujaiya neighborhood of Gaza City. A senior military officer ordered the shelling to avenge the killing of an Israeli soldier the previous day. In some of the cases described in the documentary, medics say they had been given a green light by humanitarian aid coordinators to enter an area following an attack by Israel. Yet when they arrived near the scene of the attack, they found that it was still surrounded by Israeli troops. This suggests that Israel deliberately tried to frustrate the work of and endanger the lives of rescue and aid teams. Rami al-Haj Ali, a Red Crescent medic, recalls trying to rescue a colleague named Aed in the Beit Hanounarea of northern Gaza. As Ali approached al-Masri street in Beit Hanoun, he saw an ambulance that “was so destroyed that you could barely say it was an ambulance,” he says. Because he came under Israeli fire and was wounded in one of his feet, Ali was unable to reach his colleague. Jaber Drabiah, a medic with the Palestinian health ministry, had to place the remains of a colleague named Atef in a body bag. Atef had been “totally burned” in an attack on an ambulance. Afterwards, Jaber headed to al-Najjar hospital in Rafah, Gaza’s southernmost city. He was exhausted and sat down in a yard. To join 170+ initial trade union signers, please click here. As workers, trade unionists, and anti-apartheid activists, we call on the United Auto Workers International Executive Board to rescind its undemocratic and arbitrary “nullification” of UAW 2865’s respect for the Palestinian-led Boycott, Divest, and Sanctions (BDS) picket line, which was overwhelmingly adopted by the 13,000 teaching assistants and student-workers at the University of California in 2014. It turns a blind eye to $3.1 billion a year in U.S. military aid, with which Israel massacred 2200 Palestinians (including 500 children) in Gaza in 2014, and inflicted a 10-year high in Palestinian casualties in the West Bank in 2015. It refuses to acknowledge more than fifty laws that discriminate against Palestinians with Israeli citizenship. It is deaf to urgent Palestinian trade union appeals for solidarity in the form of support for BDS. It omits the stated goals of BDS, which demands an end to Israeli occupation and colonization of all Arab lands and dismantling the Wall; full equality for Arab-Palestinian citizens of Israel; and implementation of the right of Palestinian refugees to return. It ignores the endorsement of BDS by Black Lives Matter activists, Jewish members of UAW 2865, and trade unions around the world. It fails to recognize that BDS is entirely consistent with past UAW support for boycotts organized by the Civil Rights Movement, United Farm Workers, and South African anti-apartheid movement. Lacking any semblance of fairness, the IEB’s decision has been appealed to the UAW’s Public Review Board. 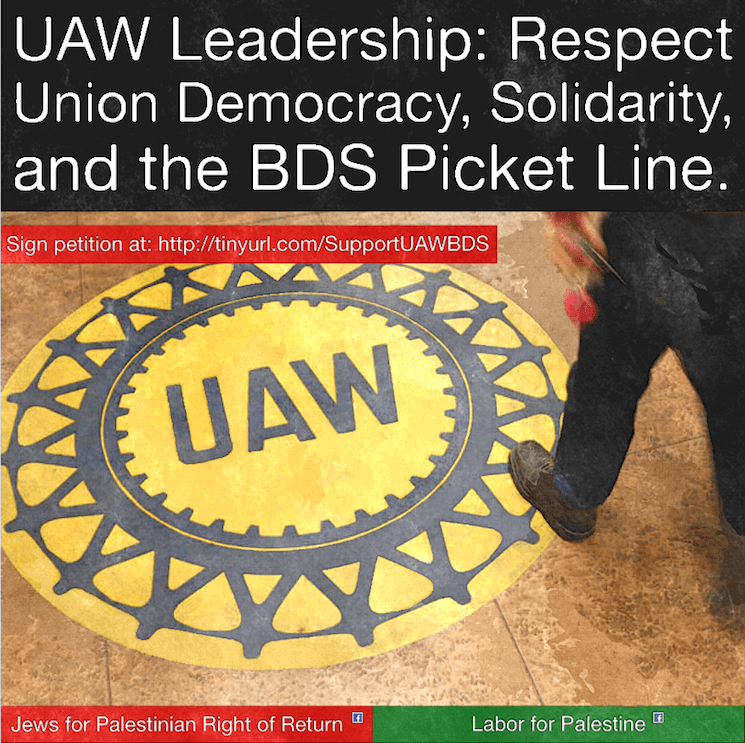 In contrast to UAW 2865’s highly-transparent support for BDS, the IEB’s biased ruling reflects UAW top leaders’ longstanding and unaccountable complicity with the racist ideology of Labor Zionism. In the 1950s, UAW conventions passed pro-Israel resolutions and raised funds for the Histadrut, the Zionist labor federation. Reuther’s brother, Victor, served as U.S. spokesperson for the Jewish National Fund, which remains at the forefront of seizing Palestinian lands. In subsequent years, “the UAW may have been the largest institutional purchaser of Israel Bonds,” which fund dispossession of the Palestinian people. In 2007, International UAW leaders signed a statement drafted by the Jewish Labor Committee that attacked unions in the UK for endorsing BDS. Now they seek to disenfranchise UAW 2865 members, muzzle free speech, and demonize the surging BDS movement. Rank-and-file UAW members have a history of challenging this pro-apartheid stance. On December 4, 2014, UAW 2865 members adopted this non-binding resolution by a landslide sixty-five percent, thereby becoming the first major U.S. union to endorse BDS. UAW 2865’s courageous vote was paralleled by ILWU Local 10 members who refused to handle Israeli Zim Line cargo in 2014, and has been followed by adoption of BDS resolutions by the United Electrical Workers and Connecticut AFL-CIO in 2015. Attempts to silence this growing solidarity movement are doomed to failure, as reflected in the National Labor Relations Board’s recent dismissal of a challenge to the UE’s BDS resolution. “No letter from the IEB can erase the educational and organizational work we have done over the past year, work we will continue to do, energized no doubt by the IEB’s undemocratic, business­-friendly attempt to nullify this vote. . . . Sharing that vision, we stand shoulder-to-shoulder with UAW 2865 in respecting the BDS picket line. On December 15, 2015, the United Auto Workers (UAW) International Executive Board (IEB) nullified the resolution passed last year by members of UAW Local 2865, the 13,000 teaching assistants and student-workers at the University of California system, that called on the International to endorse the Boycott, Divest, and Sanctions (BDS) movement against Israel by withholding their financial investments in companies “complicit in severe and ongoing human rights violations as part of the Israeli oppression of the Palestinian people. The decision to nullify the BDS resolution, which had made Local 2865 the first American local union to endorse a boycott, was the outcome of an appeal filed by a member of Informed Grads, a group of local union members who opposed BDS. Stephen Brumbaugh, a Local 2865 member at UC Los Angeles, took his case up with the International’s executive board after Local 2865 had previously dismissed it in May 2015, failing to find merit in its claims. The IEB went through a period of fact-finding, gathering testimony and evidence from Informed Grads and Local 2865 before issuing the decision. While UAW IEB admitted that the December 2014 vote on the BDS measure was democratic and free of any misconduct, producing a turnout higher than previous elections held by the local, the IEB concluded that in its view the resolution violated the International’s constitution by “lead[ing] to a direct economic deprivation for members of the UAW, as well as other organized members by, categorically interfering with the flow of commerce to and from earmarked companies” at Boeing, Caterpillar, General Electric, Lockheed Martin, ITT, Northrop-Grumman and Raytheon, the firms targeted by BDS advocates. Brumbaugh’s attorneys on the appeal are associated with Gibson, Dunn, & Crutcher, a global law firm known for providing for big business, including Walmart in a 2011 landmark civil action discrimination suit. “We are very pleased by [the UAW] International Union’s forceful rejection of BDS, which sets a powerful precedent for other labor unions and national organizations,” said Scott Edelman, a partner at Gibson, Dunn & Crutcher, in a statement by Informed Grads. At one August hearing, Brumbaugh and his attorneys introduced several letters sent by “prominent labor union advocates” to UAW International to condemn BDS, including Randy Cammack and Rome A. Aloise, both International Vice Presidents with the International Brotherhood of Teamsters, and J. David Cox, Sr., National President of the American Federation of Government Employees. Kumars Salehi, a UAW 2865 member and BDS caucus member at UC Berkeley, calls the IEB’s claims of potential economic deprivation a “model of business unionism,” the union model that eschews engagement with broader social issues beyond its members’ day-to-day needs. The IEB uses these letters later in their report to support their conclusion that by passing the BDS resolution, Local 2865 broke its constitutional obligation to work together with other unions for the “solidification” of the labor movement. But UAW members claim that their local began organizing around BDS after a call for boycott was made by Palestinian trade union confederations in July 2014 in the midst of the 50-day assault waged by the Israeli military that left 2,100 Palestinians dead. “Citing ‘the solidification of the labor movement’ in order to justify negating the will of our members is pretty sinister and hypocritical,” says Salehi, adding that in the eyes of the IEB, it seems the rule is that Palestinian trade unions are not a part of the labor movement. The IEB also ruled in favor of Informed Grads on the charge that the BDS resolution violated the union constitution’s ethical code, saying the resolution was “suggestive of discriminatory labeling and a disparagement” of its Israeli and Jewish members. “The local union’s attempt to address the predicament of the Palestinian people appears to be accomplished through biased targeting of Israeli/Jewish UAW members, and the scorning of the state of Israel and all alleged entities complicit in actions against Palestine,” the IEB said in report of the decision. “While this decision nullifies our non-binding resolution, it does not erase the voices and efforts of the countless rank-and-file members of our union, passionate about equality and justice for Palestinians,” McCleary added. Unted Electrical Workers (UE) and the Connecticut AFL-CIOhave followed Local 2865’s lead on a BDS endorsement over the course of the past year but have met opposition. UE’s resolution has been challenged through the National Labor Relations Board by an Israeli non-governmental organization on the grounds that it amounts to illegal secondary boycotts (aproduct of the Taft-Hartley Act). In California, as Glenn Greenwald has written for the Intercept, UC administrators and state lawmakers have been vocally supportive of expanding hate speech definitions to include criticism or “demonization” of Israel, which would conceivably limit BDS activism at least in theory. Klassen is a member of the Academic Workers for a Democratic Union within UAW, a new wave of graduate student workers who say they aim to reform the International in more progressive directions, and says he is invested in ensuring that UAW has “venues in which people can forward their voices and have open debate” rather than important union decisions being made “quietly, in backrooms.” Klassen says that the nullification decision is the “perfect example” of closed-door decision-making that the International needs to break from. While the IEB may have halted the BDS resolution from Local 2865 for the moment, Klassen says that AWDU members have learned from the effort in California and have launched their own BDS campaign at NYU. While he admits the common assumption is that members would want to shy away from a “controversial” or “divisive” issue, he says members have seemed to prefer democratic debate over the issue. “People want to know that their union is a place where they can have debates about the world that they live in—that collectively, they can negotiate not just for [their] narrow, material interests at work, but also the world in which they live.” he says. Mario Vasquez is a writer from Santa Barbara, California. You can reach him at mario.vasquez.espinoza@gmail.com. At its its national convention in Baltimore this August, UE, the United Electrical, Radio and Machine Workers endorsed the worldwide BDS movement – Boycott, Divestment, Sanctions – to pressure Israel to end its apartheid over the Palestinians just as similar tactics helped to end South African apartheid in the 1980s. UE represents more than 30,000 workers across the country in a range of private and public sector occupations.and is now the first U.S. national union to endorse BDS. Today we talk to Michael Letwin, co-founder of Labor for Palestine, about this remarkable victory for the BDS movement. We also discuss the progress being made on the cultural boycott and the current campaign to persuade Kanye West to respect the Palestinian call for a cultural boycott of Israel by canceling his planned September 30 concert in Israel. Guest: Michael Letwin is a public defender in Brooklyn, New York; and a veteran Vietnam antiwar, South Africa anti-apartheid, and racial justice activist since the 1960s. He is former president of the Association of Legal Aid Attorneys/UAW Local 2325(1990-2002); and a co-founder of New York City Labor Against the War (NYCLAW)(2001), Labor for Palestine(2004) and Jews for Palestinian Right of Return(2013). He is affiliated with Al-Awda NY, the Palestine Right to Return Coalition, and MENA Solidarity Network US; and a member of the Organizing Collective of the U.S. Campaign for the Academic & Cultural Boycott of Israel. Letwin was a member of an attorney/activist delegation to the West Bank and 1948 Palestine (2007),and a featured speaker at a Palestine solidarity conference of the Irish Confederation of Trade Unions (2010). He helped launch the successful campaign for Stevie Wonder to withdraw from a Los Angeles fundraiser for the Israeli military (2012), and was active in both UAW 2865’s adoption of Boycott, Divestment and Sanctions (BDS)and Block the Boat’s campaign to prevent Israeli Zim Line ships from docking at U.S. ports(2014). His writing on Palestine includes “Labor Zionism and the Histadrut” (2010) and “The Jewish Labor Committee and Apartheid Israel” (2010). SWANA (South and West Asia and North Africa) Collective, KPFK. Joel Reinstein reports on a historic vote in support of the boycott, divestment and sanctions campaign–and the rising tide of labor solidarity with Palestine. AT ITS 74th national convention, the United Electrical, Radio and Machine Workers (UE) became the first national union in the U.S. to endorse the Palestinian boycott, divestment and sanctions (BDS) movement. In addition to endorsement of BDS, the resolution passed by the UE on August 20 called for cutting off U.S. aid to Israel and for the U.S. to back recognition of the right of return for the 5 million Palestinian refugees scattered throughout the region and the world. It noted Israel’s “long history of violating the human rights of the Palestinians, starting with the ethnic cleansing of 750,000 Palestinians in 1947-48,” as well as the crucial role that organized labor played in the 1980s movement against apartheid South Africa. Representing 35,000 workers across the U.S., UE’s endorsement of BDS is a major development in the rising arc of labor solidarity with Palestine. Coming soon after an announcement by multinational corporation Veolia, which lost billions of dollars in contracts after being targeted by BDS activists, that it would cease doing business with Israel, the UE resolution is yet more proof of the BDS movement’s growing strength. UE’S RESOLUTION comes nine months after UAW Local 2865, the graduate student union representing 13,000 workers in the University of California (UC) system, became the first U.S. union to endorse BDS. As an academic union, Local 2865 passed its resolution with the support of the BDS movement’s student wing, which is particularly strong in California, where seven of the state’s nine undergraduate student governments at UC schools have also passed BDS resolutions. BDS has also won the support of United Students Against Sweatshops, the nation’s largest student-labor solidarity organization. But labor solidarity with BDS, despite the wishful thinking of Zionists, isn’t limited to campuses. In October 2014, BDS activists in the Bay Area scored a resounding victory in blocking the unloading of, and ultimately turning away, a ship from the Israel-owned Zim shipping line. This victory would have been impossible without the assistance of dockworkers from International Longshore and Warehouse Union (ILWU) Local 10. While the union was unable to officially endorse the action due to labor law restrictions, members supported it by respecting activists’ pickets and providing them with crucial information about the ship’s schedule. Labor support for BDS isn’t simply a matter of “doing the right thing.” Palestinian liberation is a working-class issue. All major Palestinian trade unions, including the Palestinian General Federation of Trade Unions representing some 290,000 workers, were among the organizations who put out the original BDS call in 2005. Palestinian workers’ ability to organize in the Occupied Territories is severely curtailed by Israel’s military occupation, and many Palestinian workers must go through the daily ordeal of crossing Israeli checkpoints to reach their places of work, in addition to having to contend with the general violence and repression of the occupation. Palestinian citizens of Israel “face discrimination in work opportunities, pay and conditions” and are “excluded from the labor force by the use of the military-service criterion as a condition for acceptance of employment,” according to a 2011 report by Adalah Legal Center for Arab Minority Rights in Israel. Additionally, in targeting corporations that do business with Israel, the BDS movement’s demands are consistent with putting human needs before profit–its enemies are the same as those of workers. This was illustrated during the 2013 Bay Area Rapid Transit (BART) workers’ strike, when BART brought in Tom Hock, vice president of BDS target company Veolia, as a negotiator to help break the strike. Palestine’s connections to labor are further highlighted in the controversial firing last summer of Palestinian-American professor Steven Salaita by the University of Illinois at Urbana-Champaign. Under pressure from wealthy anti-Palestinian donors, the university fired the newly hired Salaita after he sent a series of tweets expressing outrage at Israel’s 2014 assault on Gaza. More than a breach of academic freedom, the political firing demonstrated how universities are increasingly behaving as corporations in which workers–especially workers of color–don’t have a say. As a result, the American Association of University Professors censured the university, and more than 5,000 professors across the country signed a pledge to boycott the school until Salaita’s termination is rescinded. This was a labor battle with Palestine at its center–and anti-Palestinians on the side of management. And in the legal battle that has followed, Salaita has won the preliminary rounds, and the university chancellor who oversaw his firing has been fired. UE doesn’t restrict itself to “bread-and-butter” issues directly involving wages and workplace conditions. In addition to the resolution supporting BDS, its convention saw passage of a resolution opposing war and militarism that called for a reduction in the U.S. military budget, an end to U.S. military intervention abroad, and support for the Japanese labor federation Zenroren in its fight for demilitarization in Japan. Another resolution addressed racism and the police, with the union’s press release stating that “questioning a police officer, or just putting your hands in your pocket at the wrong time, can get you killed if you’re black or Latino.” There were also resolutions against the assault on public education, discrimination based on sexual orientation and gender identity, and destruction of the environment. In the 1950s, UE mounted public campaigns to force major electrical manufacturing corporations to agree to nondiscrimination clauses. UE was among the first to organize undocumented workers and speak out on behalf of immigrants. As an early critic of the Vietnam War, the union campaigned for redirecting the federal budget toward job-creating, socially useful production. As the first national union to officially respect the picket lines of the BDS movement, UE has shown the way forward for U.S. labor. Issues affecting workers’ lives extend well beyond the workplace, and as bosses are coordinating on an international scale more than ever before, so must labor. As with the international boycott against South Africa, labor’s power will form a crucial component of the Palestinian BDS movement–and UE has taken an historic step towards making this happen. The Israel lobby group J Street has just wrapped up its annual conference in Washington, DC. The prevailing mood of alarm and despair in the wake of Israel’s election was captured by keynote speaker Randi Weingarten, president of the 1.5 million-strong American Federation of Teachers (AFT) trade union. “This is a difficult moment for those of us who believe in the ideal of Jews and Palestinians living side by side, in two states, with real rights, and with security,” Weingarten lamented. Her attack on BDS – the Palestinian-led campaign of boycott, divestment and sanctions – and her attempt to associate it with “violence” and “terrorism,” echoes her earlier condemnation of the American Studies Association for endorsing the Palestinian call to boycott Israeli institutions complicit in occupation and human rights violations. Weingarten then began to speak about a delegation of AFT officials earlier this year to “Israel and the West Bank” that she traveled on along with J Street executive director Jeremy Ben-Ami. Weingarten is one of the most influential and high-profile union leaders in the country. But at a time when inner city public school teachers are battling against education cuts and privatization, she is spending her time on advocacy for Israel that has nothing to do with that agenda. Without consulting her constituents, she is using her union platform to push a Zionist agenda informed by her view that the Israeli occupation army is the sacred and miraculous answer to the Holocaust. Her address to J Street represented precisely the kind of liberal Zionism that Israeli journalist Noam Sheizaf condemned when he appeared on the same stage: full of easy potshots at the bogeyman Netanyahu, but total silence about Israel’s siege and massacres in Gaza. The AFT president’s speech was not the only involvement of a US teacher’s union in the conference. The J Street program lists the Illinois Federation of Teachers (IFT) as a major donor to the conference. IFT, which represents more than 100,000 educators and public employees in Illinois and is affiliated with the AFT, ignored repeated requests for comment about the amount of the donation and its purpose. But here’s a clue: IFT president Dan Montgomery, who serves as a vice-president of the AFT, also went on the junket with Weingarten and Ben-Ami. J Street poses as the kinder, gentler face of the Israel lobby, the alternative to hardlineAIPAC. But it is just as adamantly opposed to fundamental Palestinian rights. Its insistence on a “two-state solution” is motivated by a desire to rescue Israel as a “Jewish state” by hiving the Palestinians off into bantustan-like reservations where they can pose no “demographic threat” to Israeli Jewish power. For the same reason, J Street opposes the right of return of Palestinian refugees. It has unyieldingly supported recent Israeli massacres of Palestinians, including the attack on Gaza last summer that killed more than 2,200 people. It has endorsed the Obama administration’s campaign to end all efforts to bring Israeli war criminals to justice. J Street has regularly hosted and honored Israeli leaders implicated in war crimes. At the same time, it staunchly opposes the nonviolent BDS movement. But we can gain much insight into the delegation and its pernicious politics from this ten-minute video released by AFT to coincide with Weingarten’s appearance at the J Street conference. With uplifting music playing throughout, the video reproduces almost every conceivable trope of what Palestinians condemn as normalization. There is a relentless insistence on “dialogue” and heart-warming singing groups and schools bringing Arab and Jewish children together. There is constant chatter about “both sides,” obscuring the enormous power imbalance between a nuclear-armed, US-backed military occupation engaged in industrial-scale colonization, and a nearly defenseless, impoverished, occupied and disposessed people. The American delegates are presented as caring innocents who just want to make a difference. PACBI is not opposed to all contact between Israelis and Palestinians, but says context and politics are critical. It welcomes “co-resistance” activities in which “the Israeli party in the project recognizes the comprehensive Palestinian rights under international law” corresponding to the rights set out in the Palestinian call for boycott, divestment and sanctions: an end to occupation, full equality for Palestinian citizens of Israel and full respect of the rights of Palestinian refugees. But even when the AFT video documents delegates being shown some of the most brutal aspects of the occupation, it is overlaid with an anesthetizing, normalizing fog. The delegates are seen on a tour of Hebron, led not by Palestinians who live there but by an Israeli Jew from the group Breaking the Silence. They witness the emptiness of Shuhada Street, once the bustling heart of the Old City, but forbidden to Palestinians by the occupation army. One AFT delegate says the situation in Hebron is “symbolic of the distrust on both sides.” But what former UN Special Rapporteur and international jurist John Dugard has documented in Hebron is an Israeli-imposed regime he explicitly likens to the apartheid that existed in his native South Africa. The forcible closure of much of Hebron to Palestinians is the direct act of a brutal colonial occupation, done solely for the benefit of a few fanatical settlers. This episode, like the rest of the video, deceptively presents occupier and occupied as equally vulnerable and equally responsible. The only exception is when Israelis are shown as the victims of Palestinians. “We went to a community right along the Gaza Strip,” Illinois Federation of Teachers President Dan Montgomery explains. He talks about how “when fighting broke out in Gaza,” Israelis living in the area got fifteen-second warnings of rocket strikes. “And you’re frantically trying to find out where your small kids are,” he adds. As he speaks, the video lingers on Israeli elementary school children. It then shows how many “safe places” – bomb shelters – they have. This Israeli-centric view regularly instilled in participants of hasbara, or propaganda, tours completely ignores the 900,000 children – half the total population imprisoned in the Gaza Strip under Israeli siege – who have no shelters. There is no mention of the UN schools repeatedly bombed during Israel’s attack, as they served as makeshift shelters, killing children and their families. Montgomery does not fret about the more than 500 children killed – many wiped out with their entire families – and more than 3,300 injured, during Israel’s 51-day bombardment of Gaza last summer. Neither is there any mention of Israel’s relentless ceasefire violations and attacks on Gaza, before and after the summer massacre. Palestinians in Gaza are invisible, not a subject of concern for AFT or for J Street. Weingarten made no mention of them in her speech, except, like the video, as a threat to Israelis. The AFT delegates, however, do remind us repeatedly that they met and spoke to Palestinians in many places in the West Bank – an assertion meant to deliver an impression of even-handedness. But in the film all the analysis and framing is given by Israeli and American Jews. No Palestinian is seen or heard providing analysis or bearing witness to Israeli crimes. At one point, J Street director Jeremy Ben-Ami is seen lecturing to the group. In the background is a slide showing relative population figures of Arabs and Jews – the “demographic threat” supposedly posed by Palestinian births is a particular obsession of liberal Zionists. Palestinians only appear as a smiling, harmless backdrop, eagerly welcoming their American guests and grateful for tokenistic and depoliticized training programsprovided by AFT in collaboration with the Palestinian Authority. At the same time, the video suggests AFT is encouraging normalization between Palestinian and Israeli teachers’ groups. Towards the end of the video, there is a sanitized segment on how the Nakba – the 1948 ethnic cleansing of Palestine – is commemorated at Jerusalem’s Hand in Hand School, one of a tiny number of mixed Jewish-Palestinian schools. The message is clear: forget about the past, and forget about its present – the unfulfilled rights of millions of Palestinian refugees. But forgetting is only a prescription for Palestinians, never for Jews. After the visit to Palestine, Weingarten and the rest of the AFT delegation went to Auschwitz, the Nazi death camp in Poland – and this is featured in the video. The inclusion of Auschwitz in a video on the situation in Palestine seems calculated to send the not so subtle message that whatever is happening to Palestinians is dwarfed morally and in scale by the Holocaust. In her address to J Street, Weingarten made the connection clear, using the Holocaust – or Shoah – as a rhetorical device to justify Zionism and whitewash and elevate the Israeli state to a sacred principle and manifest destiny. For our ancestors, if we had said: There will be a Jewish state – for the 6 million who died in the Shoah, there is now a homeland where more than six million Jews live – they would have said, “Dayenu.” A state with a powerful military. Dayenu. A vigorous economy. Dayenu. A proud democracy. Dayenu. Here, Weingarten really lays out her cards. Her interactions with and ostensible concern for Palestinians are nothing but a liberal cover for Jewish nationalism. In the end she represents the Israeli army as the answer to the Holocaust – a classic Netanyahu talking point. In addition to Weingarten, Montgomery and Ben-Ami, the delegation included Ted Kirsch, president of AFT Pennsylvania; Dennis Kelly, president of United Educators of San Francisco; Melissa Cropper, president of the Ohio Federation of Teachers; Rabbi Sharon Kleinbaum, leader of Congregation Simchat Beit Torah in New York; Louis Malfaro, an AFT vice-president and an officer of Texas AFT; Ruby Newbold, an AFT vice-president and vice-president of AFT Michigan and Patricia Keefer, AFT’s director of international affairs. A little history is useful to put the AFT’s support for Israel and for the anti-Palestinian rights agenda of J Street in perspective. The union had a long and sordid history of zealous participation in McCarthyist purges, expelling members and affiliates accused of communism. During the decades of the Cold War, AFT functioned as an arm of US imperialism and foreign policy, particularly in Latin America. The union’s leaders, foremost among them Albert Shanker, its president from 1974 to 1997, formed close alliances with the CIA and other US government agencies. Their mission was to stem the influence of communism by creating politically amenable US-sponsored international labor organizations. In the process they helped divide and destroy the trade union movements in many countries. AFT was central to a nexus of organizations doing such work, including the American Institute for Free Labor Development (AIFLD), the US-financed organization sponsored by the AFL-CIO labor federation. AIFLD notoriously worked closely with the CIA and the US embassy to destabilize Chile and instigate Pinochet’s 1973 coup. A pamphlet on the AFT’s relationship with the CIA by George N. Schmidt, a long-time Chicago Teachers Union activist and publisher of Substance News, includes a letter from David Selden, who preceeded Shanker as president of AFT. The whole AIFLD, CIA, AFT, AFL-CIO and Social Democrats USA web of relationships is complicated by the Israel problem. American Jews are understandably concerned for the future of Israel, and rightly or wrongly they consider the policy of the Soviet Union to be anti-Israel, at least in its effect. This in turn leads many Israeli supporters to condone activities of the interlocking defense-intelligence labor establishment which they otherwise would indignantly denounce. It is hard to take a balanced view of such an emotional problem. Democracy’s Champion, a book published by the AFT’s Albert Shanker Institute to honor Shanker’s legacy, confirms that his Zionism was a strong motivation throughout his life and leadership, turning the union into a perfect tool for both Israel and US imperialism. Soon after he took office, for instance, Shanker appointed AFT staffer Eugenia Kemble to join AFL-CIO delegations to the UN’s International Labor Organization (ILO). One of Kemble’s “main tasks,” according to Democracy’s Champion, “was to help defeat the anti-Israel resolutions that arose quite regularly at ILO conferences.” Kemble received the “Israel State Medal” for her efforts. During the 1970s, the AFT regularly adopted resolutions pledging staunch support for Israel. A 1974 resolution railed against the UN for voting to allow Palestine Liberation Organization (PLO) leader Yasser Arafat to address the General Assembly. Shanker’s successors continued his legacy of serving US imperialism. AFT supported and helped the Bush administration justify the 2003 US-led invasion of Iraq. In 2006, the AFT adopted a resolution fully supporting that year’s invasion of Lebanon, during which Israel killed more than 1,200 civilians and deliberately destroyed much of the country’s infrastructure. It was not without opposition, however. “The delegates narrowly passed this resolution after heated debate,” wrote AFT San Francisco Local 2121 member and past president Allan Fisher in a letter published by the The Boston Globe. 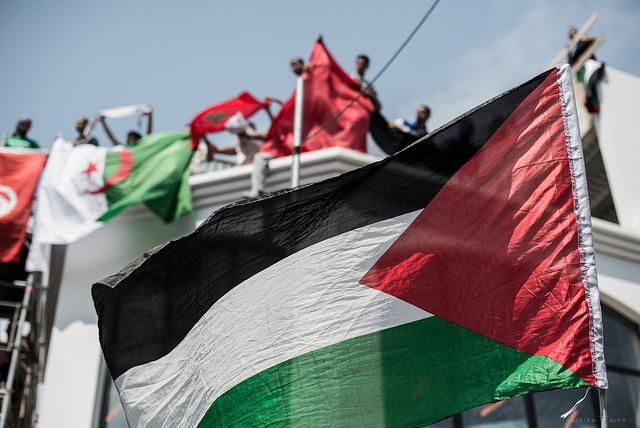 Michael Letwin, co-convener of the solidarity group Labor for Palestine, says that despite the complicity of union leaderships like the AFT’s, rank-and-file labor is playing a growing role in the Palestinians’ struggle to regain all their rights. “That is why BDS is championed by the Congress of South African Trade Unions and numerous other trade unionists around the world, including dockworkers on the US West Coast who refuse to handle Israeli Zim line cargo, and UAW 2865 at the University of California,” Letwin told The Electronic Intifada. “Weingarten and other US labor leaders must end their longstanding complicity with apartheid Israel, and support a free Palestine, from the river to the sea, with equal rights for all,” he added. The support for Israel may be rooted in the AFT’s history but it is also symptomatic of the approach Weingarten takes to politics and power today when it comes to the union’s core mission. She was criticized for cozying up to Chicago Mayor Rahm Emanuel – appearing with him on a June 2012 Clinton Global Initiative panel supporting privatization – at a time when the city’s teachers were preparing to strike. The strike by the AFT-affiliated Chicago Teachers Union the following September was seen as a model and inspiration for educators across the US facing neoliberal “reform” and privatization agendas. Chicago has long been ground zero for the assault on public education, especially stealth privatization through the creation of charter schools. In 2013, Emanuel announced the closure of dozens of schools, overwhelmingly in long-neglected African American neighborhoods. Karen Lewis, the president of the Chicago Teachers Union, was tipped as a possible challenger to Emanuel for mayor, but declined to run for health reasons. Still, for many, her grassroots leadership offers a marked contrast to Weingarten’s approach. While Chicago teachers fought for and won major concessions on the picket lines, Weingarten was there with them. But she has been accused of being late to come to their side and then downplaying their victory. Her members may ask why she has so much time to promote Israel through hasbara tours and so little time for teachers on the frontlines.